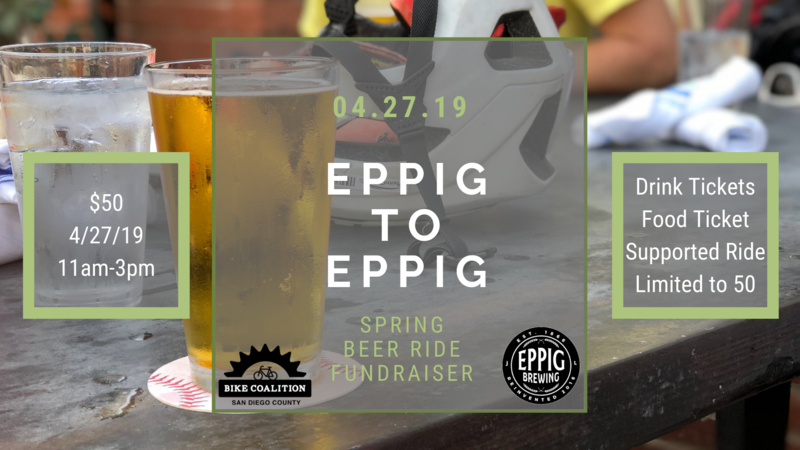 Come and join us to celebrate Spring time in San Diego with a 10 mile supported ride from Eppig Brewery and Tasting Room in North Park to Eppig Waterfront Biergarten in Point Loma/Waterfront. Lunch with 2 beers will be included. Ride includes 2 beer tickets and one food ticket. Receive a free one year membership with this ride as well! This event is limited to 50 people so get your tickets fast! © 2019 San Diego County Bicycle Coalition.